hoistway doors for elevators and dumbwaiters; chutes; and access. 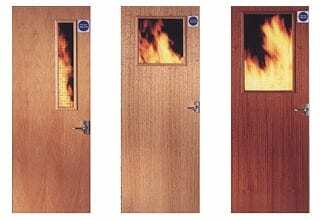 How to choose the Right Fire-Rated Door? 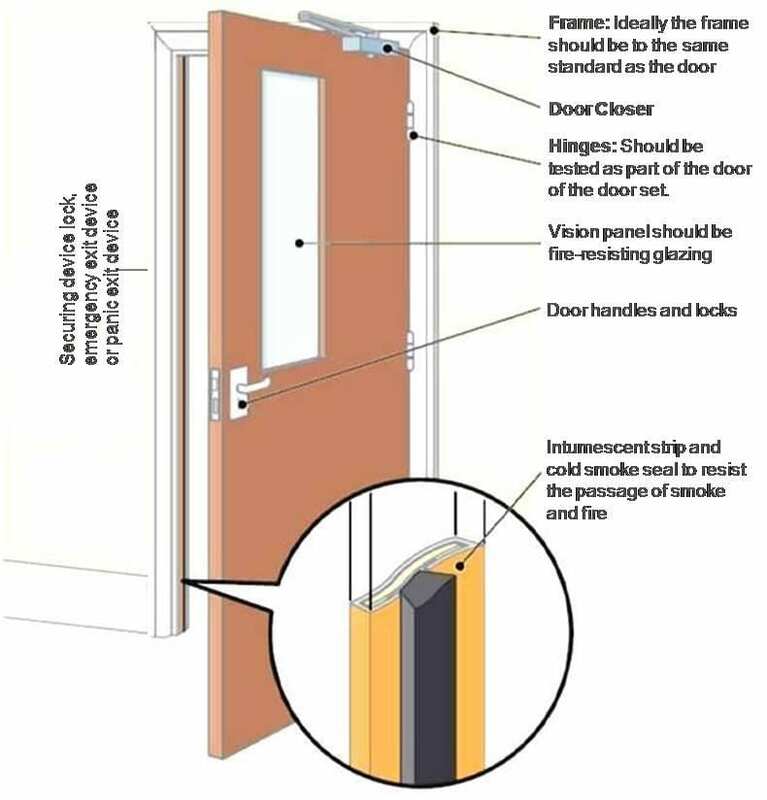 Check the local building code and the authority having jurisdiction to determine the rating of the fire door you need.Fire Label: Will need to be attached. This is the agency approved certified or labeled doors, frames, and anchors for minimum ratings required by code. Class “A” (3-hour)-Openings in firewalls that divide a single building into fire areas. Class “C” (3/4 hour) – Openings in walls or partitions between rooms and corridors having a fire resistance rating of 1 hour or less. Class “D” (1 1/2 hour) – Openings in exterior walls subject to severe fire exposure from outside the building. Class “E” (3/4 hour) – Openings in exterior walls subject to moderate or light fire exposure from the outside of the building. No letter designation (1/2 or 1/3 hour) – Openings in walls or partitions between rooms and corridors having a fire resistance rating of 1 hour or less. Note that these doors are not really considered fire doors, but rather used for smoke control only. 1. No open holes or breaks exists in the door or frame. 6. The self-closing device is operated by verifying that the active door will completely close when in the full open position. 2. If installed: glazing, vision light and glazing beads are intact and securely fastened. 7. If a coordinator is installed, the inactive leaf closes before the active leaf. 4. No parts are missing or broken. 9. Auxiliary items, which may interfere with the operation of the door(s) are not installed on the door or frame. 11. Gasketing and edge seals, when required, are inspected to verify presence and integrity.